BEIJING — Asian markets slid Friday while Europe gained in early trading ahead of the Christmas holiday after Wall Street fell for a second day. KEEPING SCORE: France's CAC-40 gained 0.1 percent to 4,840.24 and Germany's DAX rose 0.1 percent to 11,472.34. London's FTSE 100 was down 2 points at 7,061.65. On Thursday, the DAX lost 0.1 percent, the FTSE added 0.3 percent and the CAC-40 was little changed. On Wall Street, futures for the Dow Jones industrial average and Standard & Poor's 500 index were unchanged. ASIA'S DAY: The Shanghai Composite Index fell 0.9 percent to 3,110.15 and Hong Kong's Hang Seng retreated 0.3 percent to 21,574.76. Sydney's S&P-ASX 200 was off 0.3 percent to 5,627.90 and Seoul's Kospi declined a fraction of a point to 2,035.90. India's Sensex added 0.4 percent to 26,077.96. Japanese markets were closed for a holiday. Benchmarks in New Zealand and Bangkok advanced. Taiwan and other Southeast Asian markets declined. WALL STREET: Retailers pulled U.S. stocks lower after a record close for the Dow Jones industrial average earlier in the week. Investors dumped retailers including Bed Bath & Beyond, Target, Staples and Dollar Tree. Companies linked to investor Carl Icahn climbed after he was named as an adviser to President-elect Donald Trump. The Dow shed 23.08 points, or 0.1 percent, to 19,918.88. 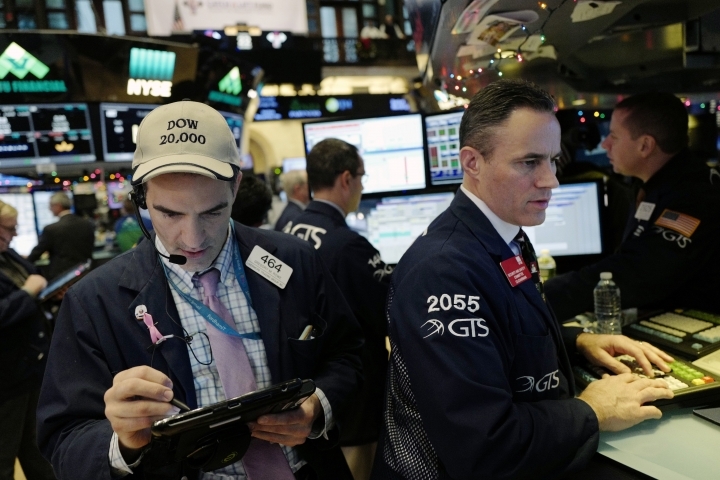 The Standard & Poor's 500 index lost 4.22 points, or 0.2 percent, to 2,260.96. The Nasdaq composite dipped 24.01 points, or 0.4 percent, to 5,447.42. ANALYST'S TAKE: "Santa has taken a leave of absence into the end of the week with a pullback seen on Wall Street," said Jingyi Pan of IG in a report. 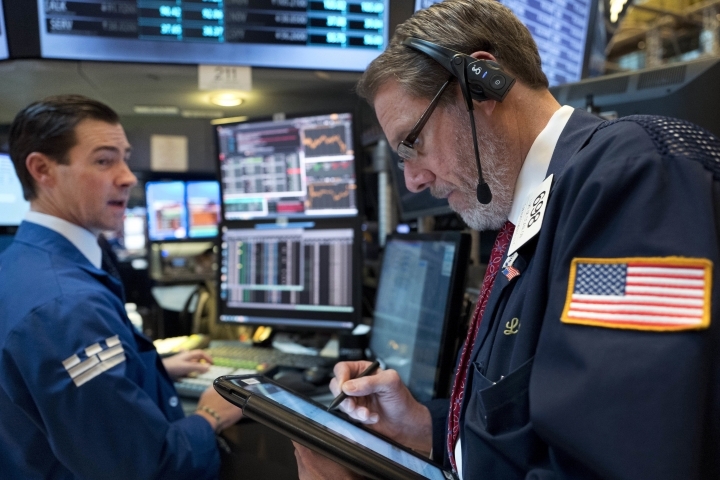 "Traders have been closing their position into the end of the year and have brought down most of the sectors on the S&P 500 index with the exception of energy and defensives — telecommunications and utilities. Asian indices could remain depressed into the end of the year." US ECONOMY: The U.S. economy grew at a 3.5 percent annual rate in the July-September quarter, the fastest pace in two years and more than the government had previously estimated. The gain in the gross domestic product came from added strength in consumer spending, business investment and the government sector, the Commerce Department said. The government had previously estimated last quarter's annual growth rate at 3.2 percent. ENERGY: Benchmark U.S. crude lost 43 cents to $52.52 per barrel in electronic trading on the New York Mercantile Exchange. The contract gained 46 cents on Thursday to $52.95. Brent crude, used to price international oils, fell 41 cents to $54.64 in London. It rose 59 cents the previous session to $55.05. CURRENCY: The dollar declined to 117.40 yen from Thursday's 117.45 yen. The euro improved to $1.0444 from $1.0439.